Amazon has 163 Piece STEM Toys Kit for $22.46 (Reg $50). You can get free shipping on orders over $25. 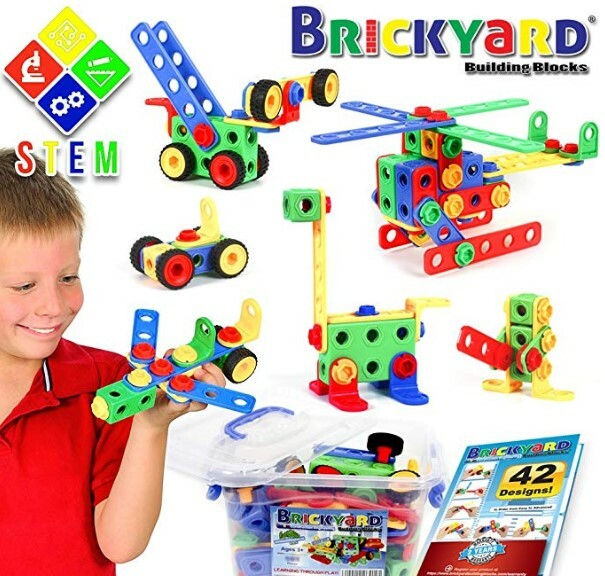 Brickyard STEM Construction Engineering Building Blocks is a 163-piece STEM toy designed to engage your children’s imagination for hours. Unleash your kids’ creativity and encourage them to build anything they put their minds to. We give you enough tools for 6 kids to build at the same time! From dinosaurs to race cars to helicopters…the possibilities are endless!